During The Elder Scrolls’s 25th anniversary stream, the director of Bethesda Todd Howard shared that The Elder Scrolls VI and Starfield will not be a part of their E3 2019 lineup. 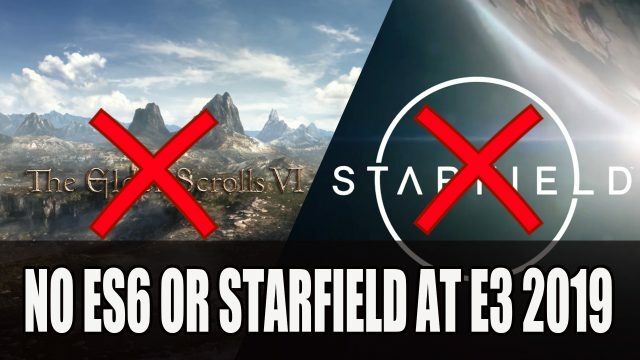 For more about this news find it here in Bethesda Confirms The Elder Scrolls VI And Starfield Will Not Be At Their E3 Show. With their recent release of the free DLC update “Rise of the Giant” which launched on PC and Switch, Filby expressed that they are “not planning on stopping anytime soon” when it comes to new content. Also sharing that a new update is in progress with an estimated release time of this summer, as well as new levels that will release sometime this year. 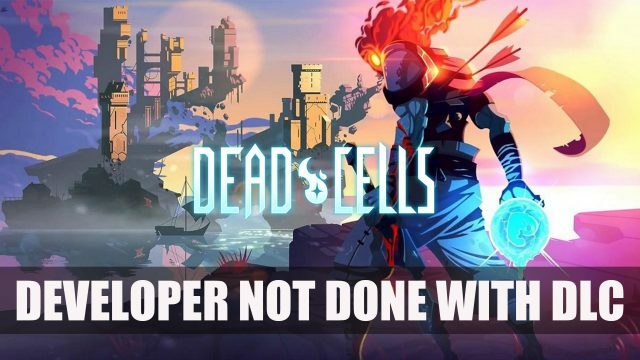 For more about this news find it here in Dead Cells Developer “Not Stopping Anytime Soon” For New DLC And Open To Google Stadia. A short clip was released on Reddit via the r/neflixwitcher subreddit which included a short clip on set, but it didn’t reveal much. However, a Twitter account for r/netflixwitcher scoured the footage for spots shown in the short video which shared this castle was in fact the place. 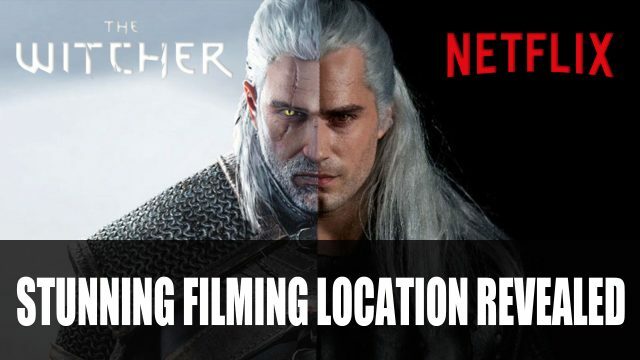 For more on this news find it here in Netflix’s The Witcher Series Filming Locations Include Stunning Views In Hungary. According to a recent interview with Iron Lords Podcast, Warhorse PR Manager Tobias Stolz-Zwilling outlines some of the features players will expect to experience in the new chapter which includes a new dog companion named Tinker. The dog has its own set of abilities which you can level up, including “sense of smell” this will help in sniffing out the enemies that cross your path. But don’t expect the dog to stay loyal if he isn’t treated well, the ability “obedience” will determine if your sidekick will continue to follow you. Praising, feeding and keeping the dog from getting continually attacked by those who pose a threat, will also play a part in your budding canine friendship. Kingdom Come Deliverance recently announced their Royal Edition which will release on May 28th for PS4, Xbox One and PC. This will include the base game plus all previously released content and the upcoming A Woman’s Lot. The DLC will also release on May 28th. 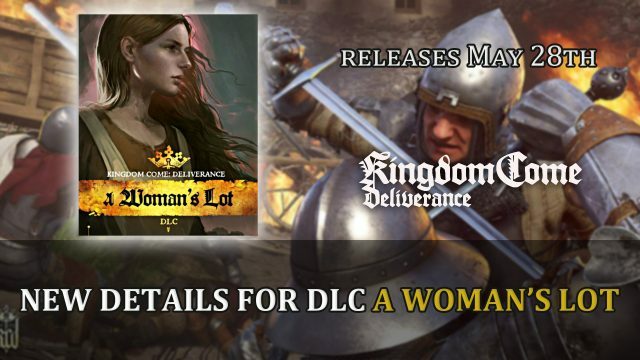 For more on this news find it here in Kingdom Come Deliverance Developer Warhorse Studios Outlines Details For A Woman’s Lot DLC. 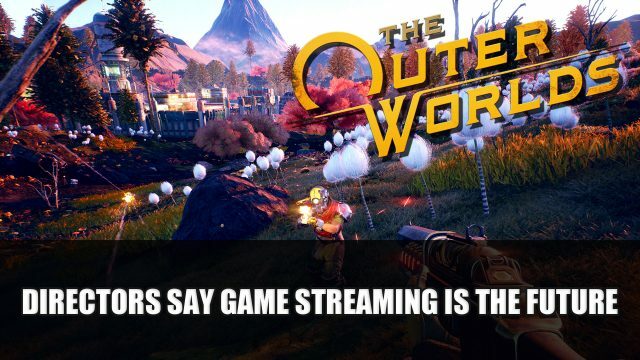 For more details about this news find it here in The Outer Worlds Directors Say Game Streaming Is The Future But Stadia May Not Take Off Yet. If you’ve been wondering what free games are coming for Playstation Plus this April, well wonder no further as they reveal a couple of games that are free this month. These include Deck 13‘s action sci-fi RPG The Surge and adventure survival Conan Exiles. Both of these titles will be available from April 2nd to May 1st for Playstation Plus subscribers. 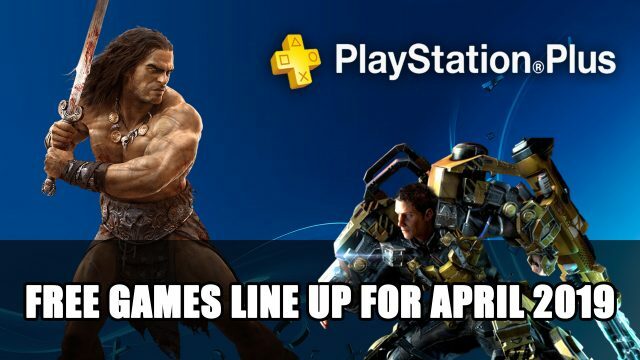 For more on this news find it here in Playstation Plus Line Up For April Includes The Surge And Conan Exiles Free. How will you spend your double XP weekends? There’s questing, crafting or even taking on the ferocious Scorchbeasts to earn double the usual experience points during your ventures out in the Appalachia. The first weekend has been announced by Bethesda which starts on April 4th for Survival Mode. The second weekend starts on April 25th for both Adventure and Survival mode. The Wild Appalachia update which launched earlier last month adding the new boozy crafting system, where players can learn to brew a range of alcoholic beverages with some interesting effects. The Survival Mode introduced new competitive PvP rules where all teammates or even groupmates are automatically are treated as hostile to each other by default. 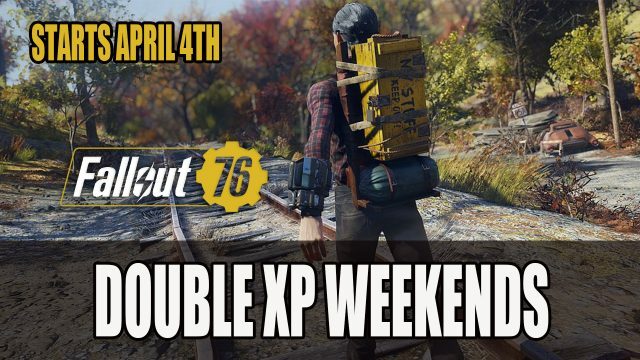 For more details about this new find it here in Fallout 76 Double XP Weekends Starts April 4th. Publisher Bigben Interactive and developers Cynaide Studio have announced Paranoia: Happiness is Mandatory described a “darkly humorous CRPG”. The newly announced game is based on the tabletop Paranoia originally released in 1984. The title follows a strange world where citizens of the Alpha Complex are under the rule of the Friend Computer that puts joy, cheerfulness and cleanliness above all else and have been cloning its residence. The title has been adapted into a CRPG where questioning the almighty is grounds for “termination”, doing anything including overstepping the red zone clearance level will end up with dire consequences. 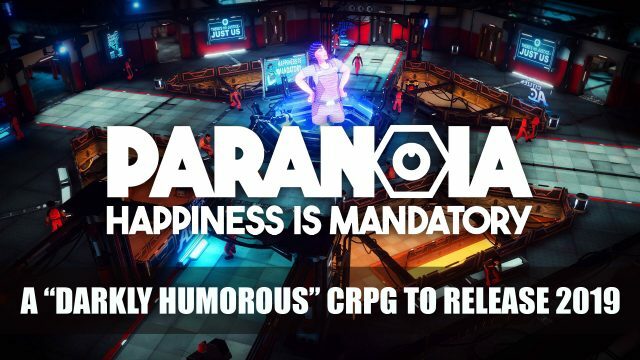 For more details about this new find it here in A Darkly Humorous CRPG Paranoia: Happiness Is Mandatory Announced For PS4, Xbox One And PC. It was only last week that we got a reveal for Borderlands 3 at PAX East 2019, but now a launch date of September 13th on Playstation 4, Xbox One and it will be an exclusive to the Epic Games Store on PC. It looks like the Epic Games Store has snapped up another exclusive on PC and this time it’s the newly announced action shooter Borderlands 3. Upon launch the title will be exclusive to the Epic Game Store for six months, meaning if you want to choose another platform, you will need to wait until April 2020. But due to the announcement that its exclusivity at launch for PC, many have taken to the Steam platform to have their voices heard. In an effort to draw attention to the fact many fans of the Borderland series are not quite thrilled that Borderlands 3 will be an exclusive at launch for the first 6 months, it has resulted in review bombing previous titles. Leaving masses of negative reviews to express their disappointment in not gaining the next instalment on Steam. Review bombing is not something new to the Steam platform, just last month Valve introduced a way to deal with the problem with a system where a team of humans will diligently sift through reviews, that are picked up by an automated program that picks out suspicious entries. 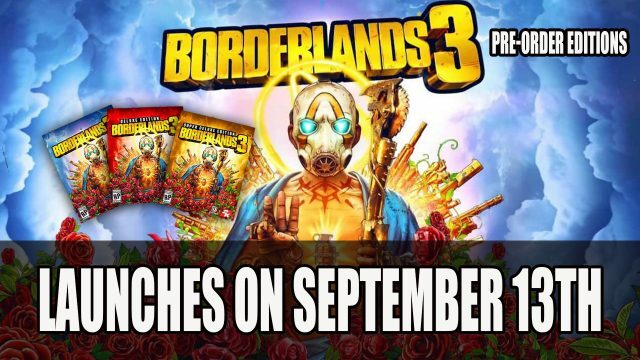 If you want to read more about this news find it here in Borderlands 3 Release Date September 13th Launching Exclusively On The Epic Games Store; Pre-Order Editions and Borderlands Gets Review Bombed On Steam Due To Exclusivity News.